With 2017 coming to a close, it’s a great opportunity to highlight some milestones from the past year. One major development was the redesign and launch of our new website Hollyburn.com. Our new map search tool, which lets users explore our properties more efficiently, caught the eye of several industry leaders and has now won three awards! We’re making strides both online and on the ground. With a vacancy rate hovering at just 0.9% in Metro Vancouver, Hollyburn is working to contribute to the supply of new purpose-built rental homes in the region. Since the success of our Bridgewater building in North Vancouver, we’ve been gearing up for our next rental development on the North Shore, located at the corner of 13th and Lonsdale. At Hollyburn, our business model reflects our long-term relationship with the local community through our social impact programs, sponsorships, and charitable giving. Hollyburn initiatives like the Covenant House youth housing program and Spring Hope Food Drive allow us to affect change and contribute on a larger scale, to create a more vibrant urban landscape for our residents and the surrounding neighbourhood. When you become a Hollyburn resident, you become part of more than just an apartment building; you along with the rest of the Hollyburn team contribute to the health and vitality of your community. 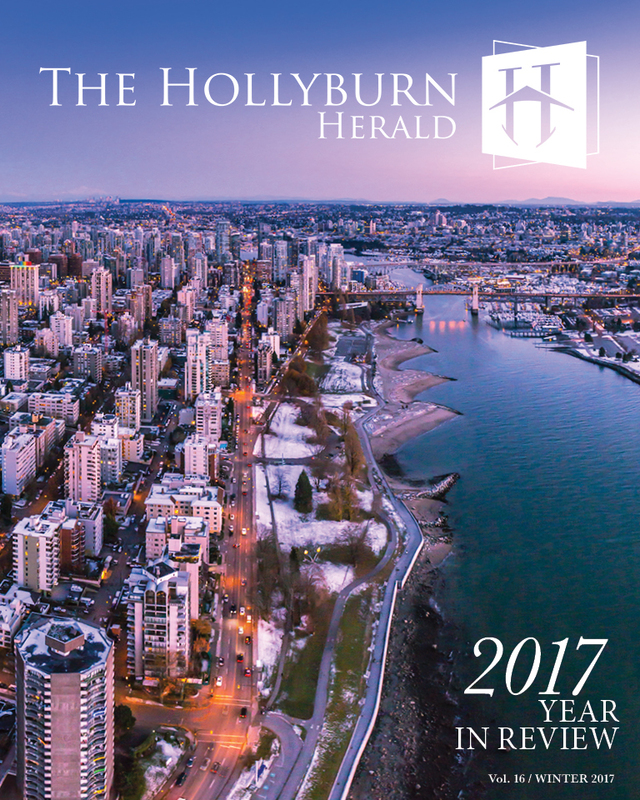 The Hollyburn Herald is our annual newsletter where we highlight milestones, initiatives and events from the past year. Click here to download your interactive copy today! From our families to yours, Hollyburn Properties wishes our residents across Canada a holiday season full of family, friends and loved ones, and all the best for a healthy and happy New Year! Previous Post New Year, New Mind, New You!